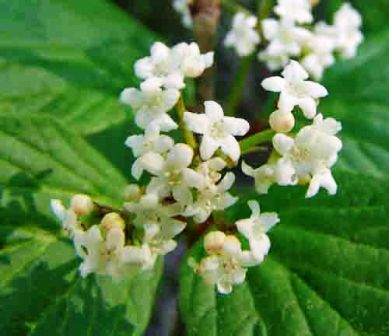 Moose berry is believed to a native of boreal North America. It is found in Pacific North West from Alaska to northern Oregon. The plants grow wild in swamps, edges of wet meadows, flood plain forests and other very wet forests. A spreading to erect, deciduous shrub, to about 2 m tall; branches glabrous, terminal buds present, bud scales 2, dark red, valvate. Leaves opposite, simple, petiolate; leaf blade 4-12 cm long; smooth and dark green above, paler below, with short hairs along the veins; margins dentate to serrate; usually bearing a pair of small glands at the base of the blade near the petiole; leaves of two forms: upper leaf pairs elliptic to ovate, unlobed or barely 3-lobed, with pinnate venation, base blunt to rounded, apex acute to acuminate; lower leaf pairs broader, 3-lobed, palmately-veined, with 3 to 5 major veins; base rounded to truncate, apex acute. Flowersbisexual, milky white, tinged with pink beneath, arranged in few-flowered clusters (cymes), 1.5-2.5+ cm across, terminal on lateral branches arising from the previous year’s growth; calyx small, inconspicuous; corolla 5-lobed; stamens 5, adnate to the corolla, not extending beyond the corolla tube; the ovary inferior. 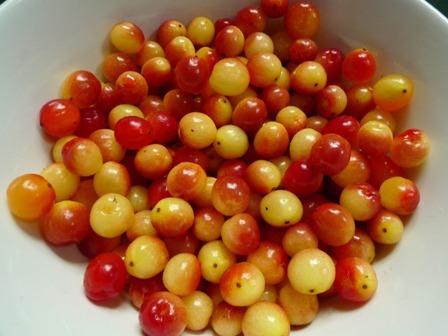 Fruit berry-like drupe, ovoid, yellow (when immature) to orange-red, 6-12 mm long. Seed 1, flat, inside stony pit. 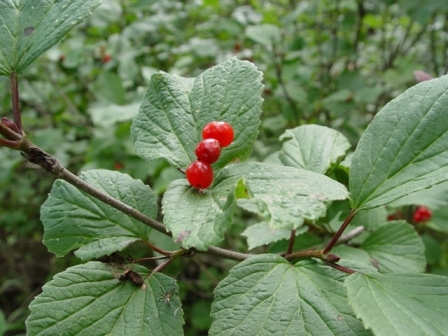 Moose berry fruits are mildly acid with a pleasant taste and a musky smell. These are highly valued for jam. 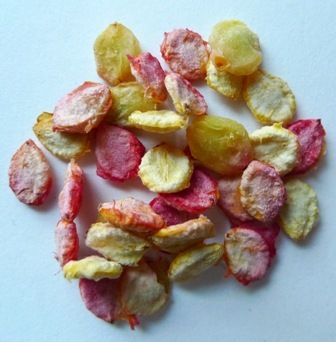 The fruits can also be dried for later use. The flowers are used in fritters. 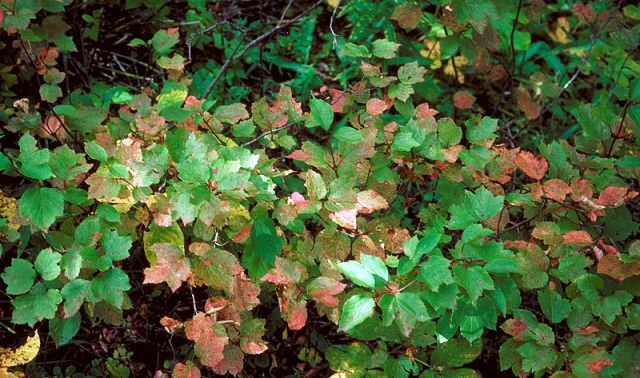 Though basically a wild growing plant, moose berry can be cultivated easily. Though it succeeds in most type of soils, yet it has been noted to perform best in deep rich loamy soils which are slightly acidic. Though there is no experimental data to support, but observations indicate that it is self-incompatible plant and would require to be cross pollinated. New plants can be raised from seeds as well as from cuttings.